Live video for gaming, powered by TokBox. As online gaming booms, companies are looking for new ways to keep their user community excited, engaged, and socially active. By integrating real-time communications into existing gaming platforms and creating entirely new experiences, companies are increasing player participation, collaboration, and social sharing. With feature-rich, real-time video, companies can create collaborative multi-party sessions, broadcast games to an audience, or create virtual tabletop games, giving gamers a true-to-life, engaging experience. Allows for seamless virtual games across all major devices and operating systems. Powers richer collaboration experiences with video, voice, and text-chat capabilities. Allows for virtual games to be shared or live-streamed with larger audiences with one-to-many and broadcast options. Allow players to capture gameplay video and stream competitions live online. Enable viewers to interact these experiences using high-quality video and archiving capabilities. Bring e-sports to life for players and audiences with real-time video and live streaming capabilities. 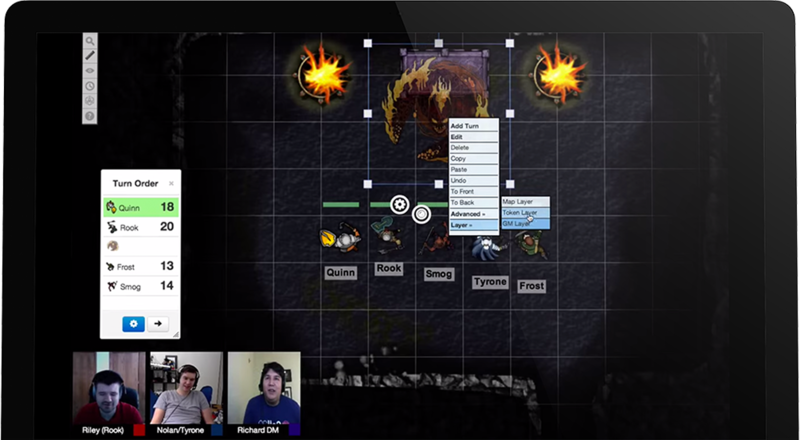 Give your players the opportunity to enjoy online the same great experience they have with tabletop games, increasing interaction, storytelling, and WebRTC-powered camaraderie. Whether it’s watching out for a nervous twitch or a bead of sweat on an opponent’s face, in-person interactions with opponents are half the fun of poker. Re-introduce these real-world clues to online poker through OpenTok-powered real-time video streams between players.